The broad outlines of the Moussaoui case are well established. But new disclosures about Samit’s story suggest that FBI agents in Minneapolis were much closer to unraveling the 9/11 plot than previously known. A Newsweek investigation shows that the officials directly involved in the case were denied access to a key internal memo—prepared for outgoing FBI Director Louis Freeh—that could have allowed the Minneapolis field office to connect the dots and possibly preempt the attacks. Their efforts were thwarted by a group of arrogant, slow-moving supervisors at FBI headquarters. At 8:34 on the morning of 9/11, Maltbie sent a memo to the Minneapolis office with final details for Moussaoui’s deportation. Twelve minutes later, the first of the four hijacked planes hit the north tower of the World Trade Center in New York. Maltbie immediately called Minneapolis and was put on the line with agent Coleen Rowley. She recalls telling Maltbie that Moussaoui was obviously linked to the terrorist attack and that the FBI needed to move immediately to get a judge to approve a search warrant for his belongings. It was only after a second plane hit the World Trade Center, a third went into the Pentagon, and a fourth crashed in Pennsylvania that FBI headquarters relented. A federal judge approved a search warrant that day. Moussaoui’s belongings were moved to the FBI’s Minneapolis field office and opened. Inside, FBI agents found evidence to suggest an advanced Qaeda hijacking plot, including a phone number scrawled in Moussaoui’s notebook that was later traced to Al Qaeda logistician Ramzi bin al-Shibh. Bin al-Shibh was the source of the money transferred to Moussaoui in Oklahoma for his flight training; he was also the paymaster for the 19 hijackers on 9/11. 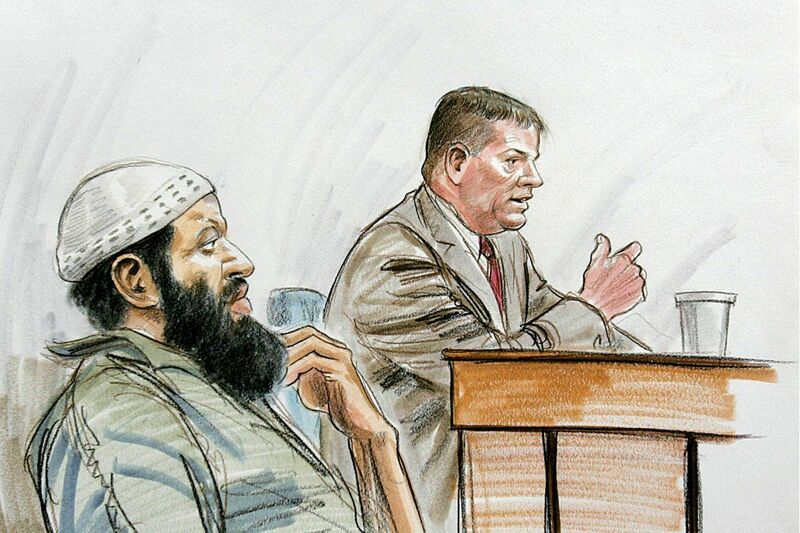 Moussaoui pleaded guilty to conspiring in the 9/11 plot and was sentenced to life in prison. Samit remains in the bureau’s Minneapolis office, having survived an effort by one of his bosses to force him off terrorism cases. He is still barred by the FBI from talking with reporters, although the bureau gave him permission to print an excerpt of his unpublished book—stripped of any criticism of HQ—in a Minnesota legal journal, the William Mitchell Law Review.